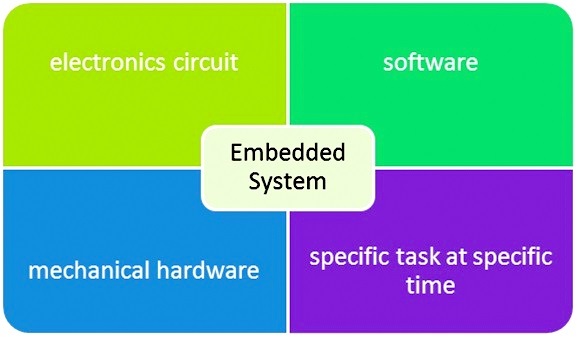 EMBEDDED SYSTEM: In general ,"embedded system "is not a definable term as most systems have some element of extensible or programmability but we can say that An Embedded System is a combination of some electronics components , software , mechanical hardware to perform a specific task at a particular instance of time.Embedded system capture application area like industry,medical,construction,transportation etc.The embedded system is every where near us whether it is industry or our daily life. 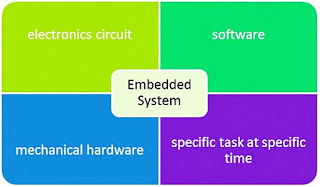 SPECIFIC TASK: An Embedded system is design for a specific task if it is not only for a single task than it is not an Embedded system.Some people think that computer is an embedded system but they all are wrong because the computer is not an Embedded system it is combination of embedded system as it does so many task at same time.some example of Embedded system are Led message display, Ac,Abs(anti breaking system) in car . ELECTRONICS CIRCUIT: Electronics circuit in an embedded system is to make the system live.It is the heart of the embedded system. It basically fetch the data from the environment in the form of sound , visual , light etc and then convert it into the voltage or current and then process by the decision making device like microcontroller or microprocessor and make a decision on the basis of input data. In this sensor's are use to sense the environment or actuator's are use to perform a an action may be motion . SENSOR'S: The sensor;s in the embedded system are like the eyes,ear,nose or skin for a human body they are use to fetch the data .for example eyes of a human being are use to see the visual like as a camera is use to see the visual for a robpot or in the embeddded system this is what we called a sensor.Their is a variety of sensor's like co2 sensor,joystick, IR sensor, Ultrasonic etc. DECISION TAKING DEVICE(microprocessor or controller): This is the brain of a robot or embedded system like our nose sense the smell of the food then our brain take the decision that the food is fresh or not same as in the embedded system the microcontroller or the microprocessor take the decision that wether the task should be performed or not. 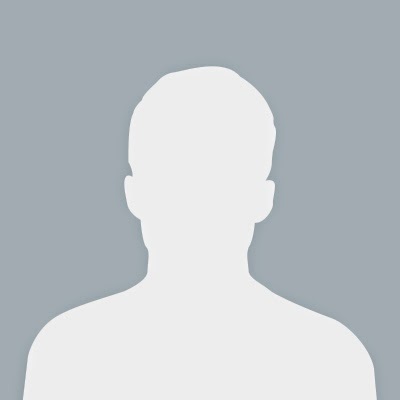 ACTUATOR'S: Actuator's are that part of the system which perform the task finally it can be a motion or flashing a light.If we compare it with the human then it is like our hand that automatically become in motion if someone behave very bad. A best example of the actuator is the motor's which is use to give the motion. 3. SOFTWARE: The software is a very important part of the embedded system.It is stored in the memory of the system and basically provide the computational capability to the system.software is run by the micro-controller or microprocessor.Software is the set of instruction to perform task on the basis of some logic.It is written in the computer language may be in the C language or in Assembly depends on the requirement of the system and also on the basis of complexity of the logic. 4. MECHANICAL HARDWARE: The mechanical hardware is the body of the system.It is the structure of the system like bones in the human body for example in the robots the wheel's , chasis ,belt , gear etc are the mechanical hardware which is responsible for conversion of motion to some action like walking using some motor's the best live example of mechanical hardware in embedded system and robotic is the asimo robot.